ROOST Apartment Hotel/FacebookA monthly stay in a one-bedroom suite will cost you at least $US5,250. More and more people are staying in luxury extended-stay hotels for months at a time, choosing the convenience and amenities over apartments and Airbnbs. At Roost Apartment Hotels in Philadelphia, suites come with full kitchens, 4K Apple TVs, Chemex coffee makers, and 100-year-old rugs. A stay in a one-bedroom ranges from $US225 to $US295 per night but can be as low as $US175 a night for a monthly stay. Living in a hotel is an extravagant and unattainable concept for many. But for wealthy families and individuals who want the comfort and coziness of an Airbnb but would rather avoid the unpredictability and what can be a hassle of a check-in process, an increasingly popular option is to stay in a luxury extended-stay hotel. 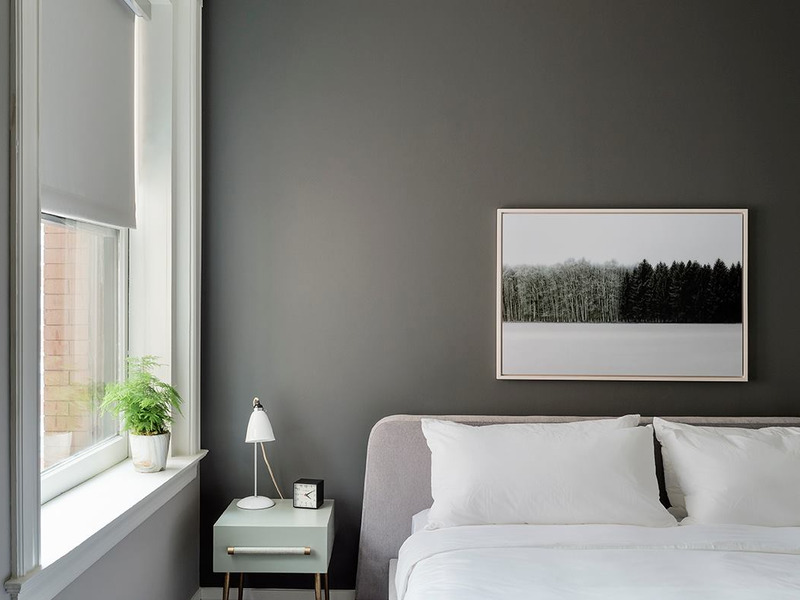 Roost Apartment Hotels in Philadelphia offer luxurious, home-like apartments that can be rented on a weekly or monthly basis. They’re often in central urban areas and offer much more personality than traditional corporate extended stay hotel rooms, according to the Wall Street Journal. 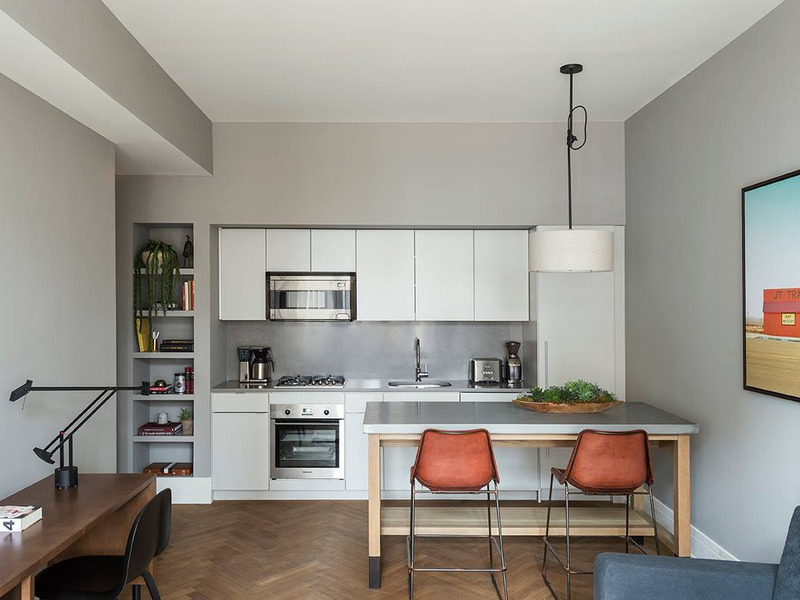 ROOST Apartment Hotel/FacebookThe suites include full kitchens complete with cookware, utensils, and Chemex coffee makers. 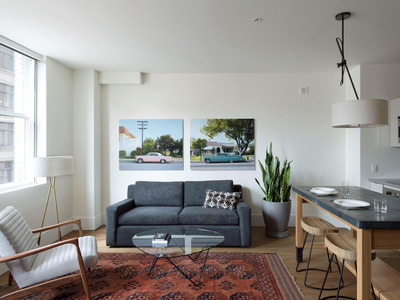 The suites come with full kitchens with cookware and utensils, Bosch washer and dryers, 100-year-old Turkmen rugs, 4K Apple TVs, and Chemex coffee makers. Some offer common lounge areas, fitness centres, conference rooms, and valets. Guests also have access to a concierge, weekly housekeeping, free bike shares, free high-end coffee beans, dog walking, and the option to arrange for a personal trainer. A booking search for a 30-day stay from Nov. 30 to Dec. 30, 2018 at Roost’s Midtown location revealed rates starting at $US140 per night for a studio suite, or $US4,200 total. Rates went all the way up to $US270 per night, or $US12,300 for the month, for the Presidential two-bedroom apartment suite. While that may be pricier than a typical apartment, some guests find extended-stay hotels to be a bargain, according to the Wall Street Journal. After all, there is no putting down a deposit, no buying furniture, and no worrying about paying internet and utility bills. You also don’t need to give 30, 60, or 90 days notice when moving out, as most apartments require. ROOST Apartment Hotel/FacebookThe number of extended-stay hotel rooms has risen 34% in five years. Staying in these upscale extended-stay hotels seems to be a rising trend. The number of extended-stay hotel rooms is up to more than 456,000, Jan Freitag, senior vice president at STR, a data provider to the hotel industry, told the Journal. That’s a nearly 34% jump from just five years ago. And according to Freitag, these rooms are occupied 77% of the time, which is higher than the average US hotel occupancy rate of 70.2%.